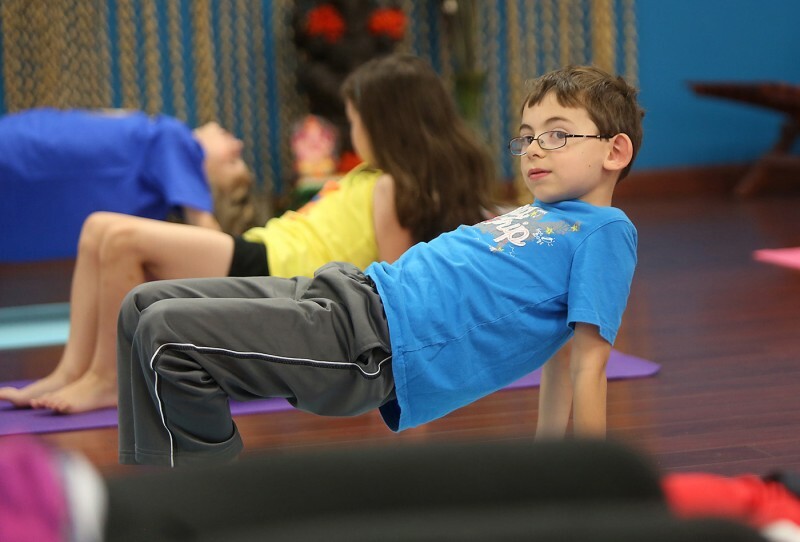 Yoga With Pooja takes immense pride to be offering one of the first few kids focused yoga programs in Cincinnati area. Pooja started her journey of yoga as a child and has been teaching yoga for 20 years. She believes that when children learn techniques for self-health, relaxation, and inner fulfillment, they can navigate life's challenges with a little more ease. Yoga at an early age encourages self-esteem and body awareness with a physical activity that's noncompetitive. It lays the foundation of lifelong discipline. At Yoga With Pooja we follow the “whole child” approach where each class is designed to work on physical, psychological & social development of a child. Yoga poses can really help reduce anxiety and recondition the nervous system, allow children to form their own inner connections and self-empowerment. Scientifically, the mental benefits of kids yoga results from calming the heart rate, which signals the brain to activate the parasympathetic nervous system response. It also helps in circulation, glandular balance, digestion, and immunity. We welcome kids of all ages & fitness levels. Yoga With Pooja’s progressive, curriculum based, structured and creative course is designed to help children develop their physical, mental, emotional, and social life skills. We will incorporate yoga movement, breath, body awareness, relaxation, mindfulness, visualization and fun games to provide children with new skills and healthy way to live in this world. Our program is designed for children from preschool through teenagers including any special needs children. We incorporate multidimensional learning styles in our teaching and lesson plans with a range of visual and auditory stimuli. YogAmazing is a unique program designed to enhance emotional calm, social skills, muscle tone & flexibility. 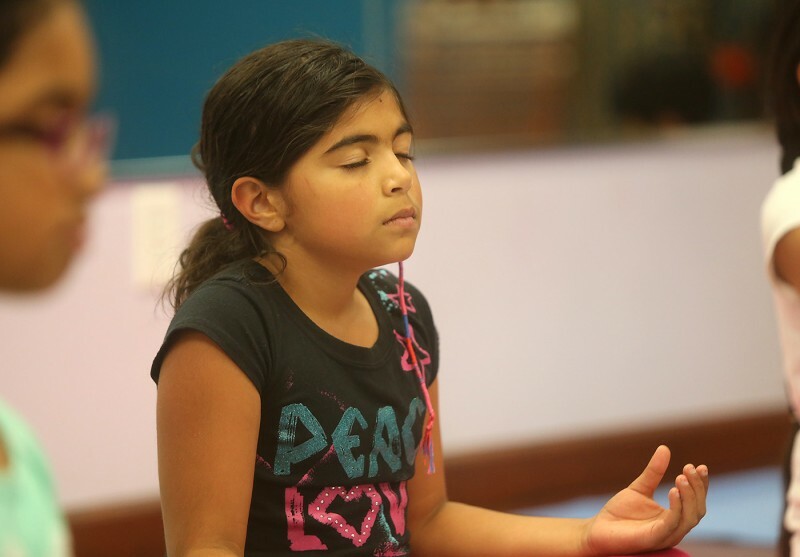 In this structured class kids will be learning about yoga poses, breathing exercises, meditation and relaxation techniques while conveying lessons in self-confidence, self-esteem, social skills and positive thinking. They will learn to tune their mind with awareness and compassion. The focus of this class is improved concentration, posture, flexibility, strength, and coordination while learning the techniques to calm their mind. In this class tweens & teens will learn techniques to navigate the stresses of daily life, honor their body and calm their mind. The physical postures, voluntary regulation of breathing, visual focus exercises, and games will improve kids ability to control their body & mind. It provides them tools to deal with situations such as exams, spelling tests, being bullied, tension, headaches and anger, and of course performing or presenting to their peers and parents in a positive way. We will learn classical yoga postures and combine them into sequences. Interactive games and challenges are included each week. Class ends with a "guided relaxation" allowing us to feel refreshed afterward. I'm really impressed with the class! You do a great job of making the class fun! I love that I can see improvements in Liam's coordination in the few weeks we have been in class. I think it's really good for him to be able to take direction from you without needing me. I think you do a great job keeping him focused and being firm and loving at the same time. And I also like the physical adjustments you do to his poses so he can feel what he's working towards. I love the relaxation and the end of class and the breathing exercises. I think it is great for him to start learning how to be still and use visualization to calm down. He really likes the games you play the the stickers at the end of class. Thank You! Oh! I also like how you ask for the favorite pose at the end of class. I really think it helps him remember the pose better. My 3yr old son really thrived in Ms. Pooja's yoga class. The class description said it would help develop attention regulation, listening skills, self-direction and self-soothing- all of which my active son needed- and it delivered! I was really impressed with the way she made every moment of the class fun and engaging, right at my son's level. He felt like he was playing while unbeknownst to him he was also learning and applying valuable skills like focus, control, and relaxation. Those skills transferred to home and gave us new ways of dealing with old challenges. For example, when my son gets angry and impatient we stop and do deep abdominal breathing together to calm ourselves down, such as was practiced at the end of each class; and when he gets distracted in an important moment, we talk about getting focused again as he learned about in yoga. He takes pride in showing friends and family the yoga poses he learned along the way. In fact, he took pride in every aspect of the class because Ms. Pooja is an excellent teacher who really knows how to encourage growth and ownership in her students.